About Us – United County CB Real Estate Services Inc. The seat of La Paz County, Parker was founded in 1908. Our town was named after Ely Parker, the first Native American commissioner for the U.S. government. Built between 1934 and 1938, Parker Dam crosses the Colorado River 155 miles downstream of Hoover Dam. Parker Dam measures 320 feet in height, 235 of which are buried beneath the riverbed, making it the world’s deepest dam. 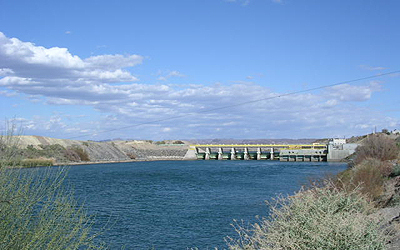 The impoundment created by the dam is Lake Havasu, the region’s premier recreational lake. La Paz County and the surrounding area experiences a dry, desert climate with over 300 days of sunshine each year. July highs soar to 108 degrees, with January lows falling to around 36. Annual rainfall is less than five inches a year. Our community is served by the Parker Unified School District. Comprised of five schools, the Parker Unified School District strives to provide a comprehensive, success-oriented learning experience. Continuing education is offered at Arizona Western College in nearby Yuma. La Paz Regional Hospital provides state-of-the-art medical care. Outdoor adventure is abundant along both sides of the Colorado River. Anglers cast their lines in the Colorado, reeling in boatloads of catfish, crappie, smallmouth and largemouth bass. Buckskin Mountain National Park features 1,677 acres with a boat ramp, swimming area, camping and RV sites, hiking trails, a restaurant, market and more. Marvel at majestic mountains rising above the water. Kick back on the sandy beach at River Island State Park. In addition to boating, waterskiing and canoeing, this park offers access to the desert back country for off-road recreation opportunities. The desert terrain also attracts droves of rock hounds, all looking to uncover glittering turquoise, obsidian, agates and other sought-after stones. The River Island Market offers a deli, groceries and supplies. 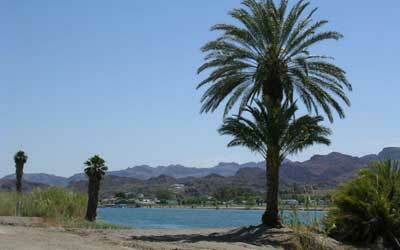 Would you like to spend a tranquil day on Lake Havasu? Plan a trip to Cattail Cove State Park. Enjoy jet skiing and sailing on the calm waters. Fish for striped bass, largemouth bass, flathead and channel catfish. The park includes several picnic areas and campsites. Sandpoint Marina and RV Park has all the provisions you’ll ever need for camping and water sports. The restaurant is fantastic, as well. For some of Arizona’s very best gaming, head to Blue Water Casino and Resort. Situated along the Colorado River, this all-inclusive resort boasts the hottest table games and slots, full-service marina, comfortable guest rooms and suites, and dining options ranging from casual to elegant. For a one-of-a-kind golfing excursion, play a round on Emerald Canyon Golf Course. Considered one of the finest courses in the southwest, Emerald Canyon promises a scenic and challenging round you’ll never forget. Whether you’re spending a weekend, winter or lifetime, you’ll constantly be finding new ways to fall in love with Parker. For the best in waterfront homes, seasonal getaways and desert recreation properties, stop by United Country – CB Real Estate, your key to a great home.